The Jacob Wetterling Resource Center can work to help you in your search to find your missing loved one, and connect you with other national and local non-profits. Midwest Technical Rescue Training Associates is a provider of high quality technical rescue services, and training to emergency response agencies, law enforcement, and outdoor adventure organizations. purpose of investigating missing persons and homicide cases. This group is dedicated to providing quality search, rescue, and recovery services to assist and support public, private, and/or governmental agencies. 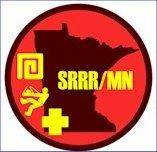 The purposes of this organization is to promote and develop search, rescue, and recovery capabilities and resources in the State of Minnesota with the underlying principle of saving lives and reducing suffering. Provider of quality personal equipment for the Search and Rescue community at competitive prices and personal service makes the difference.